All Gloucester homes currently listed for sale in Gloucester as of 04/24/2019 are shown below. You can change the search criteria at any time by pressing the 'Change Search' button below. If you have any questions or you would like more information about any Gloucester homes for sale or other Gloucester real estate, please contact us and one of our knowledgeable Gloucester REALTORS® would be pleased to assist you. "Newly custom built waterfront 3bed/2.5 bath home on 6.28 private waterfront acres. Inspired by the screwpile lighthouses which once lined the Chesapeake Bay. 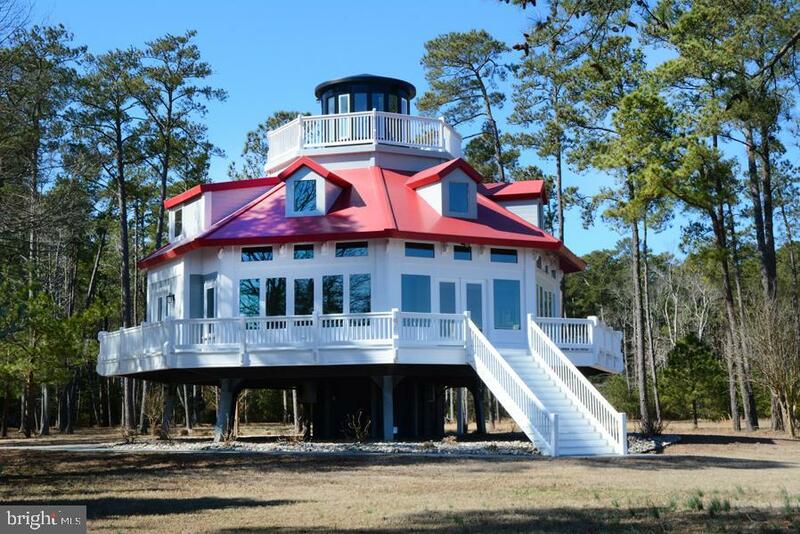 It's octagonal design is built to maximize views while offering protection from coastal weather. Superior craftsmanship includes maintenance free marine polyurethane finished fiberglass epoxy composite supported by engineered composite wood timbers. The circular has antique heart of pine treads which match the flooring on the main level. There is a pneumatic elevator from the ground level to the third floor lookout room. Woodwork and cabinetry is all custom milled. The kitchen features white cabinetry and granite countertops. Ware Neck provides provides a rare combination of amazing views, protected navigable water where power boating, sailing, kayaking, fishing and swimming are right outside your front door. Private sandy beach and 60' pier and dock."